Our aim is to provide the highest quality dental care and advice, and make your dental visits as pleasant and painless as possible. As you might have already discovered, we take dental health seriously. Oral health is an important part of everybody’s general health and wellbeing. Remember the old saying ‘prevention is better than cure?’ When it comes to your oral health, this saying certainly applies. The emphasis of our practice is on preventive care. Without a doubt, the prevention of dental disease is less costly and more comfortable than the repair of dental disease. Dental disease is generally preventable. Here with Dr Mark Dennes, it is our aim to make this a reality for you. If your dental health is less than optimal, we will work together with you to restore it. Once having achieved that goal, we will then endeavour to maintain your teeth and gums in a healthy, attractive condition for life. We use the latest dental technology to provide comfortable and effective treatments for our patients. We have a modern surgery and use the current materials, techniques and principles for all of our treatments. Our equipment and sterilisation facilities are current to eliminate the risks of cross infection. We utilise full instrument tracking protocols above and beyond what is legally required, giving patients peace of mind about the cleanliness and sterility of all our instruments and equipment. We also believe in the importance of your time – we make every endeavour to run our practice on time. More than 95% of the time, you will be seen at exactly the time your appointment states. Today, there is a vast array of treatment options available for any given situation. You will always be fully informed of the type of treatment options available to you, and we will discuss with you the best available treatment for your particular needs. 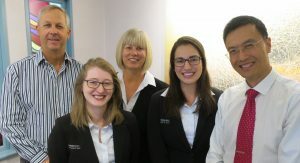 Book a consultation at our Sydney practice today.